Marine applications pose unique challenges for speakers. 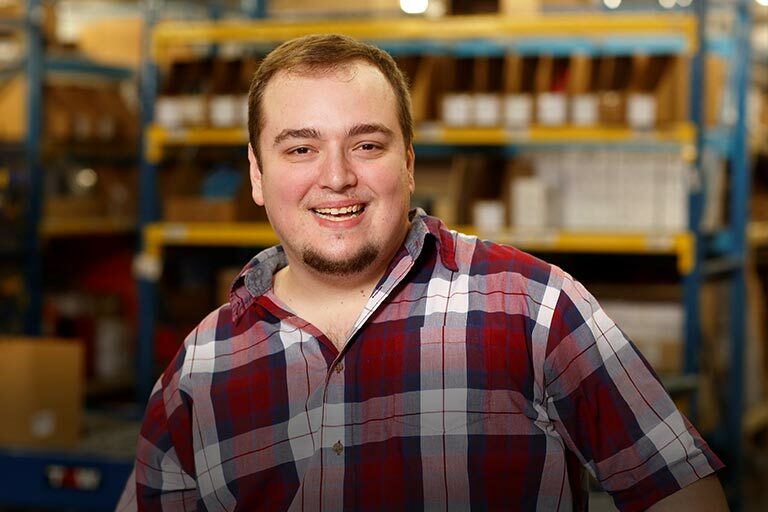 Marine applications pose unique challenges for speakers. There's water, salt spray, long hours of sunlight and temperature extremes that can ruin car speakers in no time. 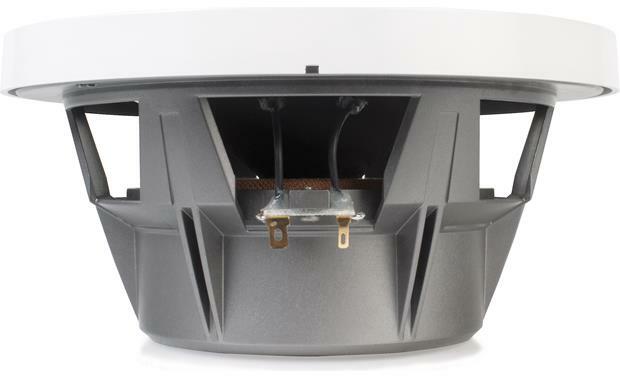 For marine applications, you need a speaker that's designed to cope with these challenges and built with the toughness to overcome them. 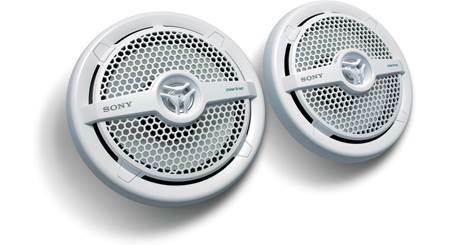 MTX's Wet Series speakers can give you the dependability and great sound you crave. 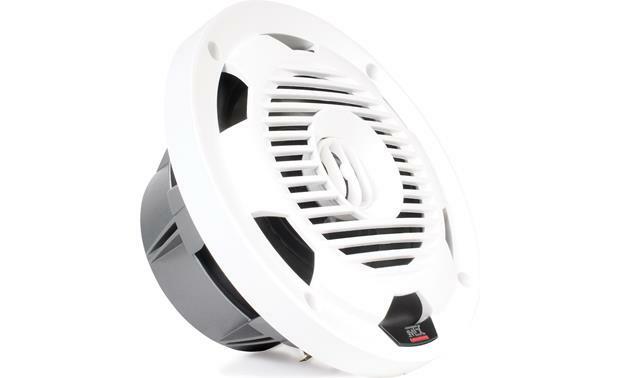 MTX seals this speaker so it can't be damaged by moisture. 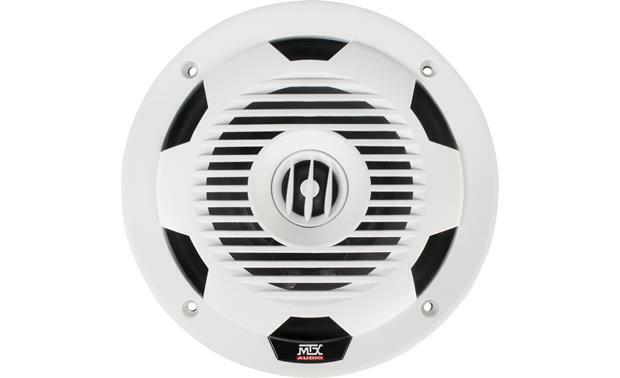 MTX's WET77-W 7-3/4" marine speakers feature a durable, waterproof polypropylene cone that'll stand up to humidity and UV exposure. 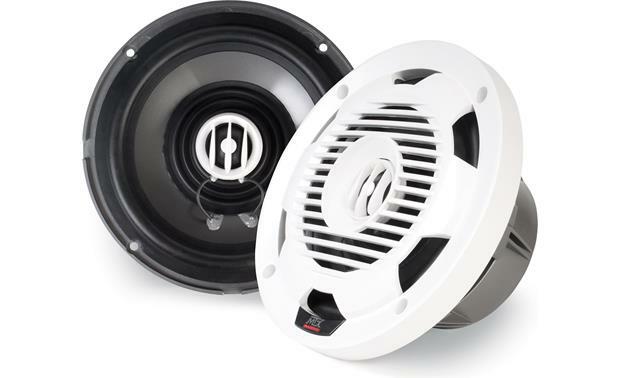 A tough, sealed white ABS plastic basket protects each speaker's internal motor structure against corrosion, while the sharp-looking white grille will keep its looks while protecting the speaker from onboard mishaps. 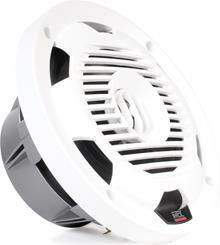 The WET77-W speakers will handle up to 75 watts RMS, or 150 watts peak power. Their weatherproof construction makes them ideal as well for ATVs and other off-road vehicles too. the 7 3/4 size is misleading, the woofer is only 6 1/4. I guess they consider the 7 3/4 to be the overall size right? 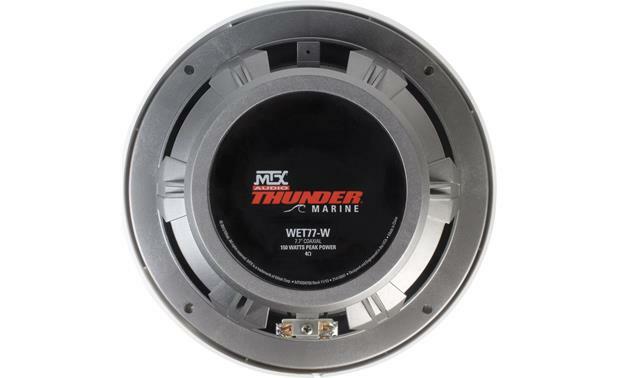 We don't have any info listed on the actual woofer size, but the frame diameter is listed as 7.75" so I would assume that's why MTX classifies them at this size. Marine Tested: The WET77-W is designed to be weather resistant and durable in conditions where water, humidity, or element exposure is prevalent. 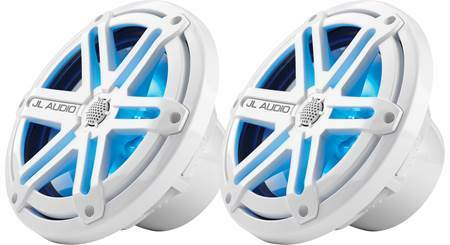 It features a polypropylene cone that is water resistant, a sealed ABS basket that protects the internal motor structure, silicone insulated tinsel leads, and ASA plastic grilles with UV inhibitor that are durable and that won't fade over time. 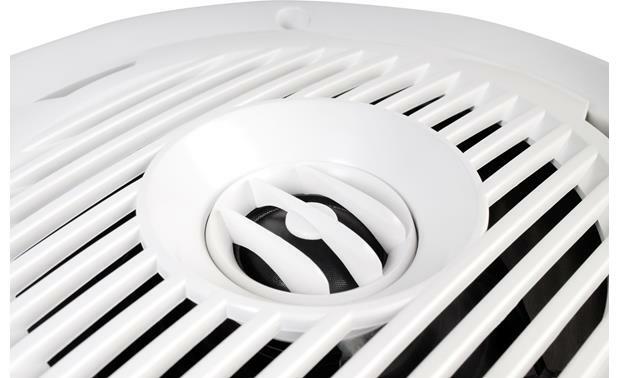 Channels in the speaker frames and grilles allow any water splashed on the cone to drain. Mounting Hardware: Marine-grade stainless-steel mounting screws are included. 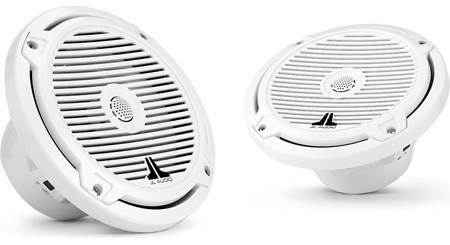 Mounting Height: changes from 0.727" to 1"
Flange Height: changes from 0.25 to 0.75"
Frame Diameter: changes from 7.41" to 7.775"
Searches related to the MTX WET77-W 7-3/4" marine speakers.